Our dash insert for your 1964-66 Chevrolet Pick Up fits in the factory location but allows you to use modern, dependable, new instruments. Our two piece design features a polymer backer with a stainless steel face plate that we "engine-turn" in house the old-fashioned way. The Haneline insert installs with your factory hardware and includes LED directional indicators. 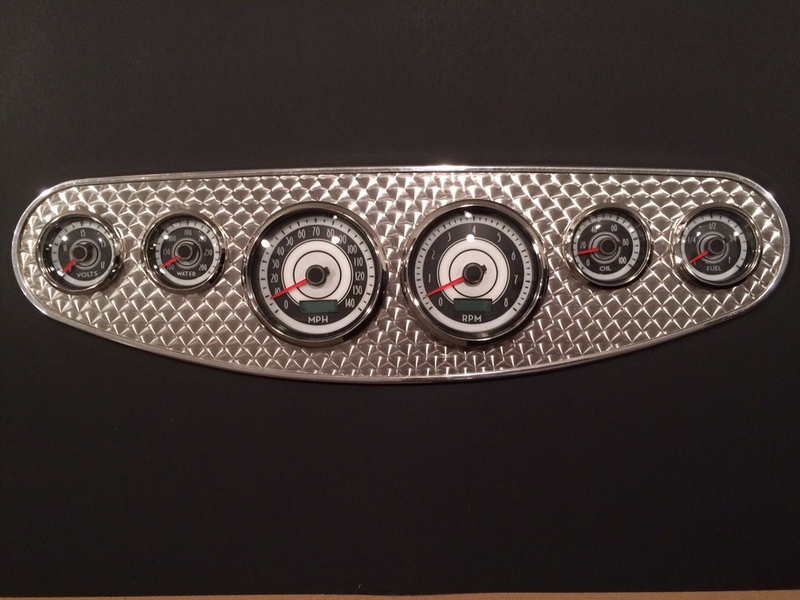 We combine the dash insert with these great 60’s style gauges from New Vintage USA. 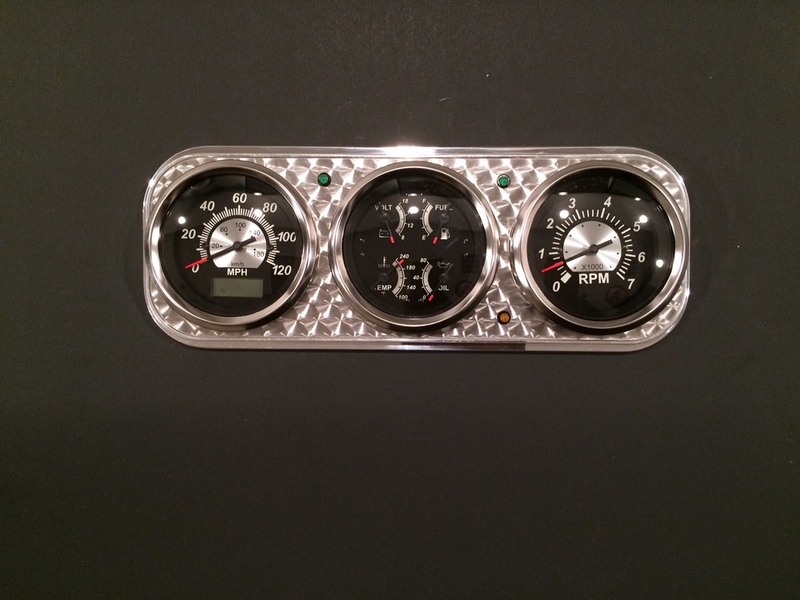 These gauges feature classic American styling along with core movement, traditional incandescent lighting and unique pointers.This kit comes with the two-piece dash insert, directional and high beam indicators. 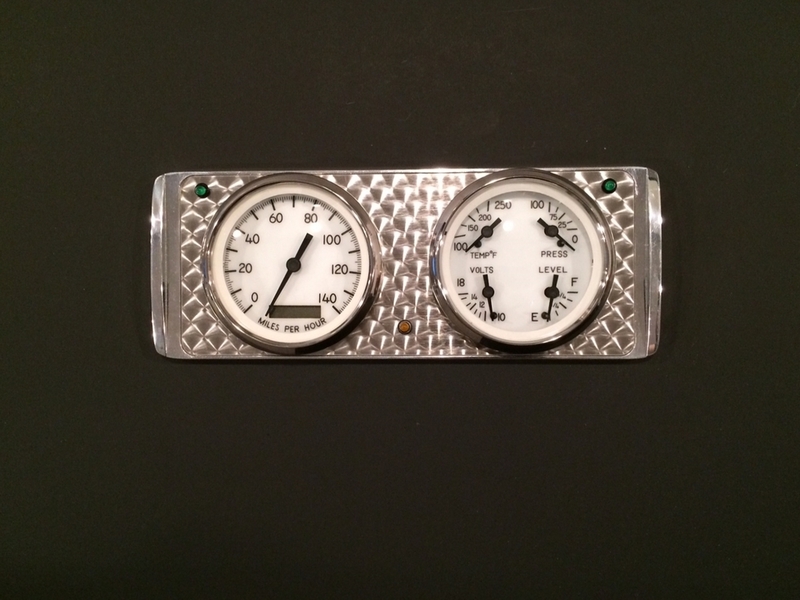 Gauges come with fuel, water temp, and oil pressure senders but a speedometer sender is not included with the NVU kits.